But you don’t have to be a gaming app to apply game tactics. Fitness apps have turned boring jogs into a race against zombie hordes. Productivity apps pit us against the clock to get us to finish our to-do lists. And financial apps have even made paying bills fun. With millions of apps available to users, building an app that sticks needs more than just a great product. It needs a great user experience. Even simple rewards like discount codes or digital badges can be effective motivators for users to complete a task, make a purchase, or share your app. To find inspiration for your gamification strategy, learn what tactics successful apps are using to hook users. 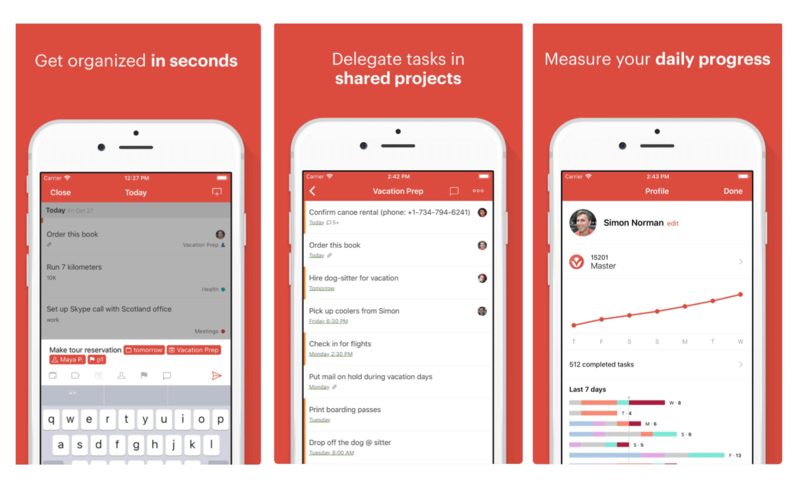 Todoist is a productivity app that helps users track everything from major work projects to simple household chores. The app uses gamification to prompt users to complete their tasks by rewarding them with karma points for every task they finish — and negative karma for missing a deadline. As users collect more karma they unlock new levels, from ‘Beginner’ to ‘Enlightened.’ And they can instantly share their karma score with friends on Facebook, Twitter, and Instagram. Takeaway: Recognition is the best motivator. Social sharing creates a healthy competition with friends and coworkers that inspires users to complete their tasks (increasing their use of the app), while also creating awareness for the brand. Goibibo has gamified their app to capitalize on the current trend: Indian Premier League. The app introduced goCashFest, where users can earn GoCash when time the Mumbai Indians play. By using the app while the team plays, users win GoCash for each 4s, 6s, 50, 100, wickets and wins during the match. This goCash is valid until the next Mumbai Indians match and can be used to make bookings on Goibibo. Takeaway: Aim for a win-win. The popularity of IPL, in tandem with the summer holidays, has ensured that this strategy is beneficial to both Goibibo and its users. Users are spending the goCash they win on bookings for their summer holidays. The days of rote memorization to pass a test are gone. Now, educators focus on cognitive learning techniques that keep students engaged. With Byju’s educational app, students master key concepts through videos, practice tests, and adaptive modules. 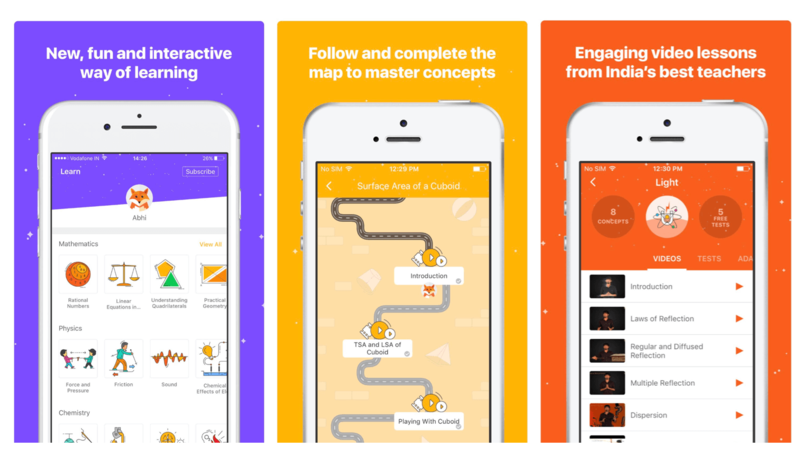 Byju’s uses gamification by allowing students to play games, earn reward points, and challenge each other through different quizzes and competitions. Competing with each other motivates students to work for better results. This sort of gamification results in a win-win situation for the app as well as its users. Takeaway: Apply gamification data to improve the user experience. Tests and quizzes allow the app to measure student performance and evaluate how well they understood the concepts in each module. This data helps the app’s development team design more effective modules. Let’s be honest, we all need a little motivation to get out of a warm bed and show up at the gym every morning. 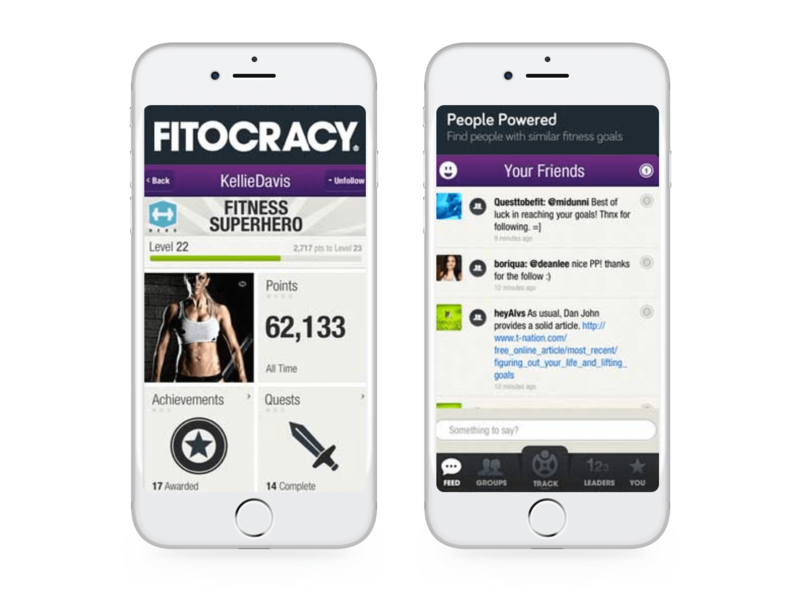 Fitocracy is a fitness app that uses gamification to motivate users to achieve their fitness goals. It accesses user health data to create customized workouts and nutrition plans, then rewards users with points and badges for meeting achievements. It also pits users against other fitness enthusiasts to keep them motivated and slay the laziness dragon. Takeaway: Consider every level of user ability. By starting with simple goals, Fitocracy keeps badges and achievements within reach for users of all fitness levels. And by rewarding users each time they unlock an achievement or win a badge, their progress becomes visible. In-app quests and competitions with friends are another great way to gain new users and keep them engaged. SmartyPig is a gamified productivity app designed to help users reach their financial goals. If a user wants to buy a new car, for example, SmartyPig will act as a piggy bank. Users can set a savings goal and then automatically add money from their bank account to that specific goal in the SmartyPig App. The progress bar spikes as users add to their savings. Takeaway: Gamification should be fun! Budgeting can feel like a chore, so there has to be a sense of fun and achievement — especially when just starting out and the goal seems out of reach. 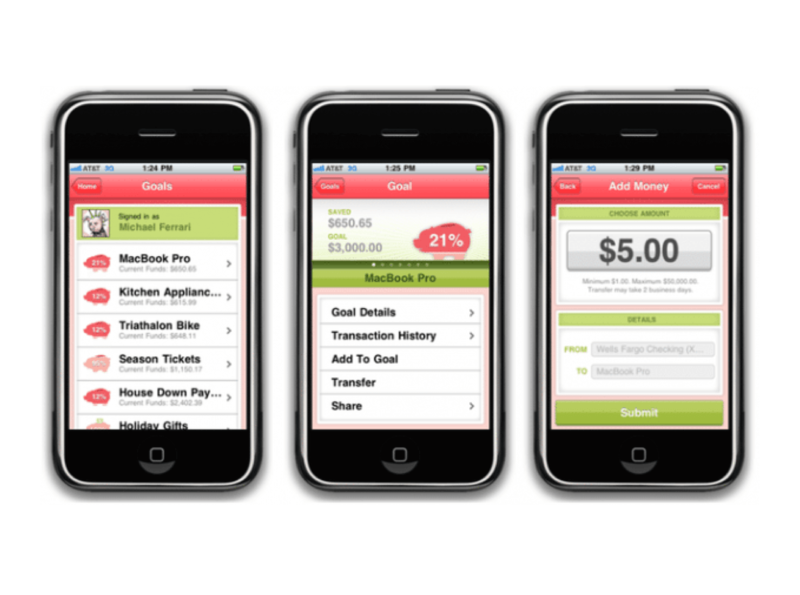 When users create a new goal, the SmartyPig app displays a progress bar that shows users that regular savings, however small, really do make financial goals more attainable. 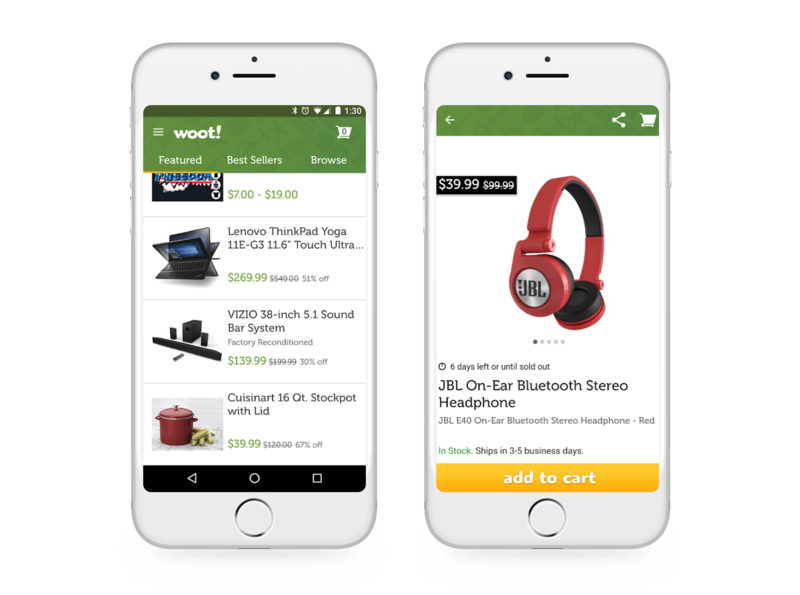 Woot is a retail app that offers a limited quantity of products at a special sale price per day. Since only a few of each product are available, users race through product pages and checkout before it’s out of stock. Then they eagerly await the next product to be unveiled at midnight. Takeaway: Gamification can help build key user habits. By building a sense of curiosity, unpredictability, and scarcity, Woot gets users to make a daily habit out of checking Woot at midnight to snag a great deal. 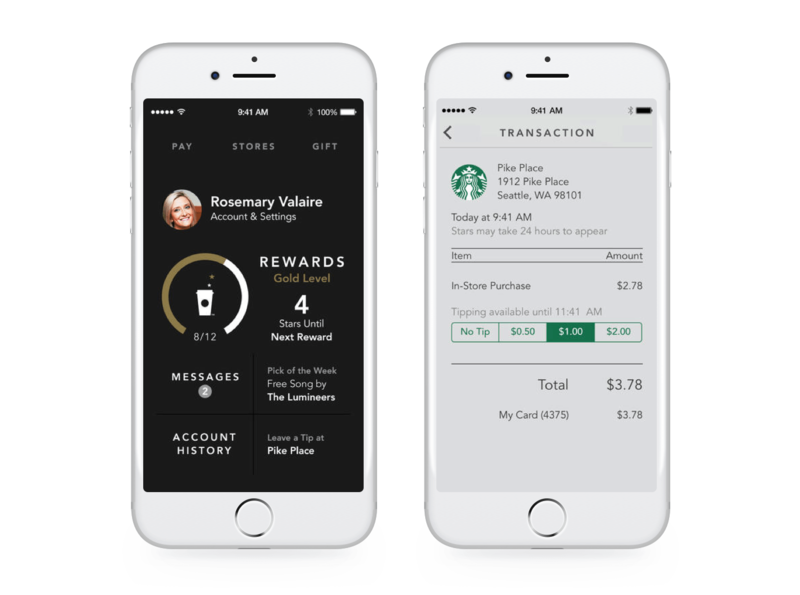 The Starbucks app features a loyalty system that rewards users with stars for each order placed, which can then be redeemed for free food and drinks. Takeaway: With a rewards or loyalty program, apps can boost retention by incentivizing users to come back to the app to redeem the points or discounts they earned from previous orders. When it comes to engaging users, gamification is a powerful approach. And the best part? You don’t need to spend a ton of money to implement these strategies. Awards, digital badges, competitions, and in-app quests keep user interest alive and promotes regular app usage without requiring a huge budget. To learn more about how today’s most successful apps hook users and keep them engaged, check out our whitepaper: The Psychology of Insanely Addictive Apps.